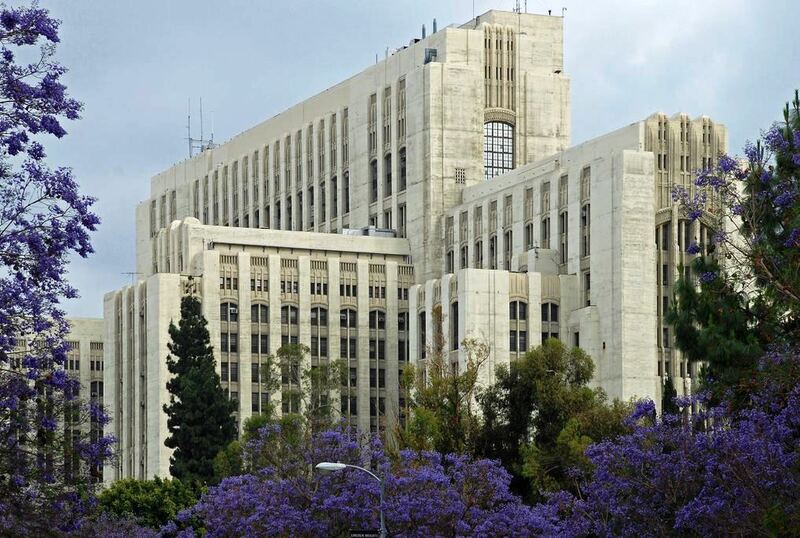 Back when it opened its doors in 1933, the Los Angeles County General Hospital symbolized hope and healing for millions of County residents. As the birthplace of emergency medicine, the General Hospital trained generations of physicians completing their Graduate Medical Education before it stopped providing patient-care services, and the building was largely abandoned in 2008. Now, on November 14, 2018, the Los Angeles County Board of Supervisors approved a brilliant motion authored by Los Angeles County Supervisor Hilda L. Solis to study the feasibility of repurposing the former hospital into affordable, low-income, and mixed-use housing. “We must be innovative and audacious if we want to end the homelessness crisis and simultaneously increase affordable housing in the region. To help solve these problems, we have to think outside of the box,” said Supervisor Solis. “Today’s action to transform the abandoned General Hospital into a marquee facility will not only breathe new life into this historic building, but it will also help our most vulnerable residents regain control of their lives. When I look at this iconic structure, I see much more than an architectural gem: I envision a thriving community facility proactively helping people suffering from homelessness and other disadvantages get back on their feet,” she continued. After the 1994 Northridge earthquake, the County decided to construct a newer, state-of-the-art medical facility to replace the General Hospital. When the modern LAC+USC Medical Center opened in 2008, the old General Hospital, a historical landmark, was largely abandoned. This is the another step forward in fulfilling Supervisor Solis’ and the communities’ larger vision that focuses on creating a “Healthy Village” in and around the LAC+USC campus, providing residents with access to world-class integrated health delivery combined with development that promotes economic prosperity, health, and infrastructure for the betterment of the greater community. In addition to the changes at the old General Hospital, this new Healthy Village will include a sobering center, to help those with addiction find a new lease on life, and a 100-bed recuperative care center to ensure patients continue to receive care until they are fully healed. This innovative environment will provide access to a new, comprehensive, whole-person approach to the interrelated and complex issues of homelessness, substance abuse, mental illness, housing, and health care. “LA County is a national leader in its commitment to help its most vulnerable. Today’s vote is a milestone in my continuing effort to bring back to life this iconic County landmark that for decades served as a beacon of hope to our community,” continued Solis. “By renovating the General Hospital to offer our most vulnerable individuals affordable housing, we will be able to address their unmet needs by offering them wrap-around services and other resources as they heal. Providing patients with a bed and a roof over their heads will help them regain their confidence and dignity. With the support of the community, I am committed in ensuring that no one gets left behind,” she concluded. This new motion directs the County’s Chief Executive Officer to lead a detailed feasibility study and craft a strategic plan with external stakeholders with expertise in historic adaptive reuse, economic development, affordable housing financing large-scale building engineering and seismic retrofits, environmental planning, and community engagement. The motion also directs the CEO to collaborate with representatives from the County’s Housing for Health, the Community Development Commission, the Health Agency, LAC+USC Medical Center, the Department of Public Works, Regional Planning, and with the LAC+USC Health Innovation Community Partnership. The motion also directs the CEO to report back to the Board by Fall 2019 with a detailed feasibility study and strategic plan. Photo of LA General Hospital courtesy of Los Angeles County.